Team USA poses for a team picture. As the Opening Ceremonies will welcome the 2012 summer Olympics, the U.S. Olympic team is only days away from competing for a gold medal. Lets take a look at the players, coaches, competition and the path the U.S. will have to navigate to bring home another gold. The first draft held in the Prudential Center was filled with North Carolina and Kentucky players. 10 players were drafted by both schools with 8 of them going in the first round. The Rockets dominated the first round with 3 picks (Jeremy Lamb, Royce White and Terrence Jones). Now lets take a look at how the first ten picks went down and how the Sixers made out in Newark. The Hornets didn’t surprise anyone by going with the best overall player in Davis. Davis will roam the middle in New Orleans being a defensive threat with his length and tremendous shot blocking ability. He will need to bulk up a bit more in order to be able to score on the offensive end at the next level. The Hornets have found their big man in Davis. After losing their star point guard in the off-season and having the 3rd worst record in the NBA, Hornets fans finally have something to cheer about. New Orleans had a 21-45 record this year, which was the worst record in the Western Conference. M0nty Williams did not fair well in his second season, but he did not have the two stars, Emeka Okafor and Eric Gordon who only played in 36 combined games. Along with the first pick, New Orleans also has the 13th pick. 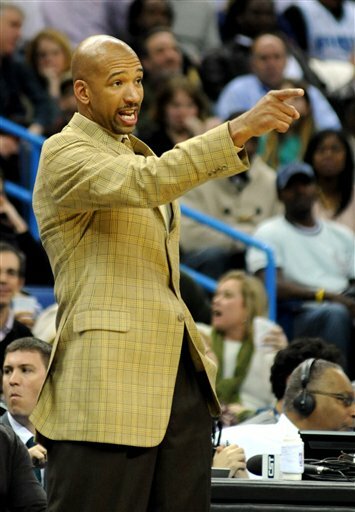 Monty Williams only managed 21 wins this season, but did not have much to work with. 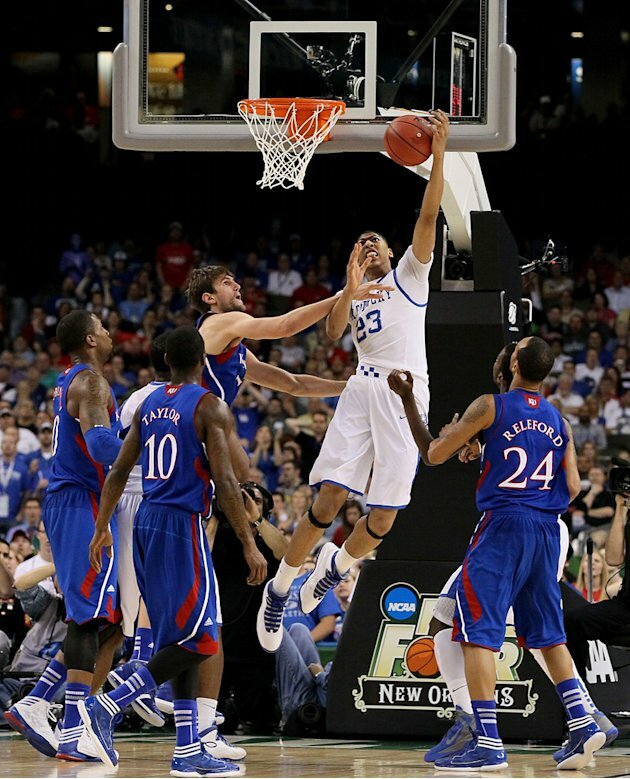 Kentucky defeated Kansas, 67-59 as they won their 8th national championship in school history. The Wildcats held a comfortable lead through out the majority of the game before Kansas made the game very interesting in the final minutes (specifically if you had Kentucky -7!) Freshman Anthony Davis was named the games MVP. The Cardinals continue their run as they head into a battle with their cross state rival. Louisville got past Florida thanks to a huge second half comeback. They were led by Chane Behanan’s 17 points, 7 rebounds and 2 blocks. They will need to get better production out of Kyle Kuric and Peyton Siva who combined for 17 points and were in foul trouble most of the game. Russ Smith provided a scoring punch off the bench and will need to continue to step up for the Cardinals. Michael Kidd Gilchrist can do a little of everything for the Wildcats, he scored 19 points and 5 rebounds in their win over Baylor and was a handful for the Bears all game. Inside the paint, the Wildcats have the ultimate stopper in Anthony Davis, who had 18 points, 11 rebounds and 6 blocks against the Bears. The Cardinals need to get to the basket and try to get him in foul trouble and take him out of the game early. Louisville has had a great run in the tournament but the Wildcats are too talented to be stopped in this one. Both of these teams had the honor of knocking out the one seeds in their region. They both were tied at the half and had big second halves to take control of their games. 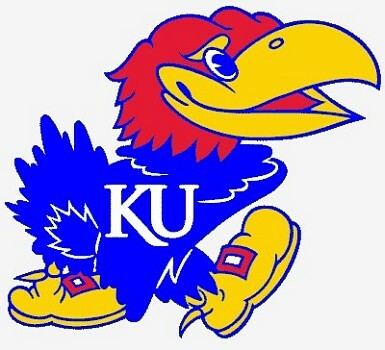 The Jayhawks have a fearsome inside-outside game with Thomas Robinson and Tyshawn Taylor, who combined for 40 points, 15 rebounds, 6 assists and 5 steals. They will be matched up against Jared Sullinger and Aaron Craft, which both will be spectacular to watch. Sullinger was in foul trouble most of the first half against Syracuse, but was a terror inside in the second half scoring 19 points and 7 rebounds. Aaron Craft was somewhat quiet in the game against the Orange, but is one of the best perimeter defenders in the country and will have his hands full with Taylor all game. This game will come down to who can control the paint to set up the perimeter game. I like Sullinger to step up against Robinson and Craft to contain Taylor enough to pull this one out. The loss of Fab Melo has not seem to hurt the Orange much yet. Both of these teams can shoot the three well as Syracuse shot 67 percent in their win over Kansas State. Wisconsin won a grind it out game against Vanderbilt led by Jordan Taylor’s 14 points, 3 assists and 2 rebounds. The Badgers will have their hands full inside with Rakeem Christmas and Kris Joseph who had 16 combined rebounds in their 3rd round win. The Orange must take better control of the basketball against a very good Wisconsin defense, who forced Vanderbilt to turn it over 12 times. The inside presence and the depth of the bench will lead the Orange to the elite 8. Rakeem Christmas's inside presence could be an issue for the Badgers. The biggest issue going into this game for the Cardinals will be finding a way to stop Draymond Green. Green had 16 points, 13 rebounds and 6 assists against St. Louis. Gorgui Deng had a nice game scoring 6 points and grabbing 10 rebounds in their win over New Mexico, but will need to stay out of foul trouble guarding Green. Kyle Kuric can help on the boards, slip out and shoot the three and at 6’4 he is a match-up nightmare for the Spartans guards. The battle between Keith Appling and Peyton Siva will be fun to watch as they both are very athletic and can score. When it gets to this point in the tournament Tom Izzo just gets more out of his teams than most, the Spartans move on. Quincy Acy had 22 points and 16 rebounds in a win over Texas. Isaiah Canaan had 18 points, 4 assists and 3 rebounds in a win over Tennessee Tech. Ricardo Ratliffe had 22 points and 12 rebounds in an overtime loss to Kansas. Jae Crowder had 26 points and 4 rebounds in a close win over West Virginia. John Henson had 15 points and 11 rebounds in a win over Virginia. Draymond Green had 17 points, 5 rebounds and 5 assists in a win over Minnesota. 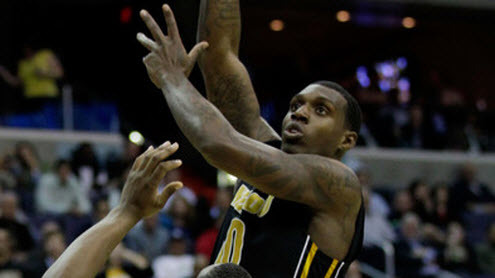 Thomas Robinson had 28 points and 12 rebounds and a game saving block in a close win over Missouri. Austin Rivers had 23 points and 4 rebounds in win over Virginia Tech. Kris Joseph had 21 points and 7 rebounds in a close win over UConn. 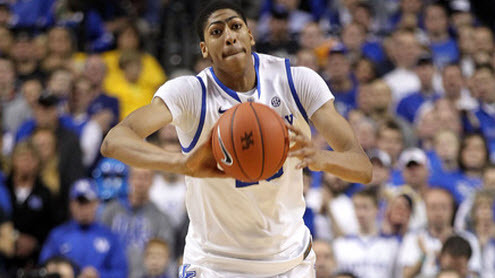 Anthony Davis had 28 points, 11 rebounds and 6 blocks in a win over Vanderbilt.